The Cincinnati International Wine Festival’s generous support gives concert:nova the opportunity to expand our “Next:Generation” educational programming. Founded in 2007 by a group of Cincinnati Symphony Orchestra musicians led by clarinetist Ixi Chen, the musicians have sought inter-artistic collaboration with an inquisitive and adventurous spirit to create an multi-dimensional blend of compelling and thought-provoking performances. With a fluid roster, an agile ability within the group to morph into various combinations, and sharing the creative spirit with renowned guest artists near and far, concert:nova has been at the forefront of forging new artistic horizons in Cincinnati. 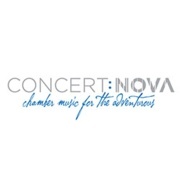 In 2015 concert:nova launched the Next:Generation program, an educational initiative reaching students from 4th grade to graduate school. Our aim is to guide young artists to find their own voice through music, on their instruments, through chamber music and with the entrepreneurial skills required to navigate an ever-changing world. One program is in partnership with the Ben Carlson-Berne Scholarship to provide the highest quality music lessons, chamber music coaching, masterclasses and concert opportunities to underserved youth who have a passion for music and are committed to lessons. Interactive performances reach 1000-1500 school children, and are a highly engaging method of illuminating their school curricula through music. Building on concert:nova’s commitment to learning, a second program targets pre-professional high level graduate students. These emerging artists receive training in arts entrepreneurship and career development, expanding opportunities for these students to develop as creative forces the positively impact our community. Finding success as a professional musician requires more than talent and luck. Our program focuses not only on issues of music practice and performances but on collaboration, technology, marketing, real-world problem solving and industry trends. Finally, a third program focuses on drawing new and young, creative-minded professionals to the world of classical music. Our Late:Night series is a classics-to-clubs feature, offering short sets of chamber music on the make-shift stages of Cincinnati’s wine bars, breweries and bistros. The atmosphere is relaxed and engaging, and we often offer a paired drink or food option that ties into the program. We are thrilled to be part of the International Wine Festival community. Thank you for helping us make a positive impact on the new generation of arts makers and new audiences.